The permanent staff of URENIO is about 15 people, and external contract research personnel varies with respect to projects. Qualifications of the permanent staff cover urban and regional planning, civil and mechanical engineering, electrical and computer engineering, architecture, sociology and economics, applied mathematics and statistics. Nicos Komninos is a researcher and author among the founders of the intelligent (smart) city paradigm. He has published the trilogy “Intelligent Cities: Innovation, knowledge systems and digital spaces” (Routledge 2002), “Intelligent Cities and Globalisation of Innovation Networks” (Routledge 2008), and “The Age of Intelligent Cities: Smart Environments and Innovation-for-all Strategies” (Routledge 2014). He was the guest editor of five special issues on smart cities: “Intelligent Clusters, Communities and Cities: Enhancing innovation with virtual environments and embedded systems”, International Journal of Innovation and Regional Development, Vol. 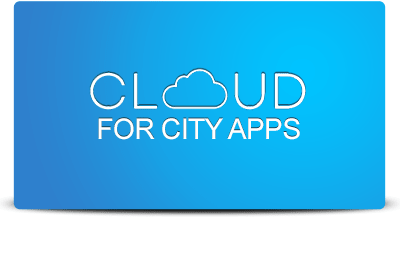 1.4, 2009; “Smart Applications for Smart Cities”, Journal of Theoretical and Applied Electronic Commerce Research, Vol. 2012.3 (together with H. Schaffers and C. Ratti); “Smart Cities and the Future Internet in Europe”, Journal of the Knowledge Economy, Vol.4.2, 2013 (together with H. Schaffers and M. Pallot); “Intelligent Environments and Planning for Urban Renewal”, Sustainability, 8, 2016; and “Smart Cities and Cloud Computing”, Journal of Smart Cities, Vol. 2.1, 2016 (together with C. Kakderi and P. Tsarchopoulos). He is a professor of Urban Development and Innovation Policy at the Aristotle University of Thessaloniki. He holds a Master’s Degree of Architecture-Engineering from the Aristotle University, post-graduate studies in Semantics with A.J.Greimas, and a PhD from the Ecole des Hautes Etudes en Science Sociales (EHESS Paris) under the supervision of P.H.Chombart de Lauwe. He teaches the courses “Intelligent Cities: Architectures and Strategies”, “Design and Development of Software Applications for Smart Cities”, “Strategic Planning for Urban Development”, and “Learning Regions: Innovation and Regional Development in Europe”. He is the founder of URENIO Research and has coordinated more than one hundred research projects under the European research and territorial development programmes (H2020, FP, CIP, LDV, Interreg, SEE, MED). He has been honoured with the Excellence and Innovation Award of Aristotle University for achievements in competitive research. Alongside to research he took part in the development of smart cities, technology parks, and innovation strategies in most EU countries; in UN activities for innovation in developing countries; in the group of experts for drafting the OECD Innovation Strategy; in evaluation of research in the EU, Nordic countries, Asia and New Zealand; and currently in the design of smart specialisation strategies (RIS3) and digital growth strategies across many regions of Europe. His research interests are in two interrelated areas (1) intelligent / smart cities: formation and evolution of smart ecosystems; structure, ontologies, knowledge functions, connected intelligence; smart city planning, strategy, governance, design and development of applications for growth, safety, and sustainability; and (2) innovation systems and strategies: cyber-physical systems of innovation; data intelligence and co-creation; innovation over platforms; innovation strategies for smart specialisation; software applications for innovation strategy; assessment of innovation performance..
Elias G. Carayannis is Senior Visiting Professor affiliated with URENIO. He is full Professor of Science, Technology, Innovation and Entrepreneurship, as well as co-Founder and co-Director of the Global and Entrepreneurial Finance Research Institute (GEFRI) and Director of Research on Science, Technology, Innovation and Entrepreneurship, European Union Research Center, (EURC) at the Department of Information Systems & Technology Management, George Washington University in Washington, DC. His teaching and research activities focus on the areas of strategic Government-University-Industry R&D partnerships, technology road-mapping, technology transfer and commercialization, international science and technology policy, technological entrepreneurship and regional economic development. Christina KAKDERI (MSc, PhD) is a regional economist and a researcher focusing on systems of innovation and smart innovation environments (national and regional innovation systems, technology policy, social networks, intelligent cities/districts). Since 2005 she has been involved with URENIO in numerous EU and national funded projects related to spatial development and innovation ecosystems. She is elected assistant professor at the School of Spatial Planning and Development, Aristotle University of Thessaloniki. She holds a degree in Economics from the University of Macedonia in Thessaloniki, an MSc from the School of City and Regional Planning, Cardiff University, UK and a PhD on innovation systems analysis from the Faculty of Engineering of Aristotle University of Thessaloniki. During her studies, she has received a three-year fellowship from the State Scholarship Foundation and a fellowship from the Research Committee of AUTH. She has also attended a number of extended training courses, such as those of the DIMETIC network (in Strasbourg, Maastricht and Pecs) on innovation networks, policies and methodologies, and of the Spatial Econometrics Advanced Institute (in Rome) on spatial econometrics. 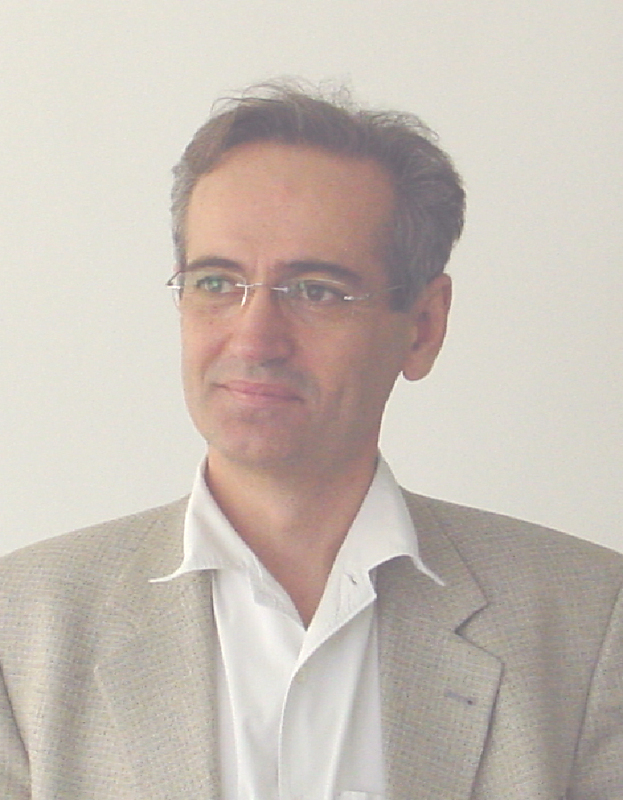 Giorgos MARTINIDIS (MSc, MA) studied psychology in the Aristotle University of Thessaloniki and Middlesex University, economics and politics in the University of Macedonia, and holds a PhD in the contribution of human factors to regional innovation systems, also from the Aristotle University of Thessaloniki. Since 2007 he has worked on the administration and implementation of various research projects and the drafting of research proposals for Aristotle University’s URENIO research, INTELSPACE, the University of Sheffield’s South Eastern Europe Research Centre, and Creativity Platform. Nancy (Anastasia) MARTZOPOULOU is a Mechanical and Agricultural Engineer and currently belongs to the academic staff of the Department of Urban and Regional Planning – School of Architecture – Faculty of Engineering – AUTH, where she completed her PhD thesis entitled “Energy and environmental management in industrial concentrations”. She has been actively involved in the research activity of the URENIO Research Unit – AUTH, participating in the implementation and the management of research projects such as: Cross-Inno-Cut, Innopolis, INTERVALUE, The future of industry in Thessaloniki, Innovation in the Ionian Islands, Digital research center in Central Macedonia, Istos: Innovative Actions in the South Aegean. Scientific fields she is interested in: Urban/Regional Planning and Innovation, Smart Specialisation, Smart Energy Cities, Environmental Planning, Industrial Symbiosis and Ecology, Eco – Industrial Parks, Emergy Analysis, Agricultural Engineering. She teaches at the Schools of Architecture and Agriculture. Dimitris MILOSSIS is electrical engineer with studies in the School of Technology, University of Patra, Greece. He has a Diploma in Electronics for Telecommunications from the University of Southampton, England and a Masters cource in Business Adninistration (MBA) in University of Macedonia (Thessaloniki, Greece). He is a PhD candidate at the Department of Urban and Regional Planning of Aristotle University of Thessaloniki on the topic of “Regional Innovation Systems”. Since 1999, his is working as a researcher at the URENIO research unit in the Aristotle University of Thessaloniki and participates in various European projects. His scientific interests are in business performance assessment (benchmarking), web development, and networking in Innovation Management Tools and New Product Development. Anastasia PANORI is a senior research associate. Her main research interests focus on urban and socio-economic development, data science, smart cities, and Smart Specialisation Strategies at a regional level. Since 2012, she has been working as a researcher and has participated in various projects funded by the European Union and the Greek Government. By education, she is an Electrical and Computer Engineer (Aristotle University of Thessaloniki, Faculty of Engineering), holds a Master’s Degree in Economics from the University of Macedonia in Thessaloniki, and a PhD in Economic and Regional Development from Panteion University of Athens. Maria PARASKEVA received a Master of Arts in Black Sea Cultural Studies from the International Hellenic University. She is a graduate of the Department of Theology of the Aristotle University of Thessaloniki. Before her current position, she was a project manager at the Vocational Training Centre (VTC) for seven years. She was also the head of the department that was responsible for combating people’s exclusion from occupation, and for the department that aimed at promoting graduates to labor. During her career, she has worked at the “Organization of Cultural Capital of Europe Thessaloniki “97”, and at Macedonian Press Agency. She has taught “Greek as a foreign language” and “vocational guidance” at the Vocational Training Centre, where she has also written handbooks on both subjects. She also taught English (as a foreign language) at various coaching schools. Isidoros A. PASSAS has a Bachelor of engineering on computer systems from the School of Engineering of University of Sussex in U.K., and a M.B.A. in University of Sheffield in the U.K. His scientific interests are in the application of information technology in business processes of SMEs, business and cluster intelligence, innovation measurement and benchmarking, and web 2.0 new product development, and website assessment. Since 2001, he has been working as a researcher at the URENIO Research. He is currently involved in the development of web-based roadmaps concerning New Product Development and the creation of spin-off companies and supports the URENIO web platform and applications. Artemis PSALTOGLOU is an Architect Engineer and researcher focusing on urban planning and spatial development. She is a PhD candidate at the Department of Urban and Regional Planning (AUTH) exploring the role and contribution of social innovation in cities. Her research interests include the concept of urban intelligence, the use of digital technologies in tackling urban challenges, as well as the social dimensions of smart cities. In terms of education, she is a graduate of the Department of Architecture of Aristotle University of Thessaloniki (AUTH) and she holds a master degree on Smart Cities from the University of Girona (Spain). During her studies, she received a scholarship for her master studies from the spanish bank Santander and two scholarships from Stavros Niarchos Foundation for her participation in international workshops related to digital technologies and architecture (AA Visiting Thessaloniki and AA DLAB 2016). Since may 2016, she is working as a PhD researcher at URENIO participating in the implementation of research projects and the preparation of projects proposals. Maria S. Schoina is a graduate of the Department of Civil Engineering of Aristotle University of Thessaloniki. After graduation she was involved in several structural design studies as self-employed or in cooperation with a design and construction firm. She has also been working as a scientific researcher at the Universities of Thessaly and Western Macedonia, in a series of projects and studies in the fields of Regional Development, Innovation, Management of Technology and Tourism Management. Since 2000 she has been working for the Urenio Research Unit of the Aristotle University of Thessaloniki, participating in the implementation and the management of research projects such as: InnoRegio: Dissemination of Innovation and Knowledge Management Techniques, InVent: Innovative Actions in Thessaly, Istos: Innovative Actions in the South Aegean, Regional Innovation Strategy (RIS) in Southwest Bulgaria, Medi-Cube: Mediterranean Technology Led Incubator Co-operation. Elena SEFERTZI is associate professor of Spatial Systems and Innovation Strategies at the Aristotle University of Thessaloniki. She holds a Master’s Degree of Sociology from the University of Paris Rene Descartes – Sorbonne, a post-graduate degree (DEA), and a PhD from the Ecole des Hautes Etudes en Science Sociales, Paris. Her teaching and research activities focus on regional innovation strategies, strategic planning, technology transfer and regional development. She has participated and coordinated more than fifty research projects funded by research organisations and the European Commission (Competitiveness and Innovation Programme (CIP), Framework Programmes (FP), and Territorial Cooperation Programmes). She is the author of numerous articles and editor of books, including “Flexibility and alternative corporate strategies” (Industrial Relations, vol. 51, no 1, 1996), “Neo-industrialisation and peripherality” (Geoforum, vol. 29, no 1, 1998), “Innovation in the every day life of libraries” (Technovation, no 20, 2000), “Changing regional systems of innovation in Greece” (European Planning Studies, 2003), “Innovation: System-areas, technology transfer, and innovative development in Greece” (Gutenberg,1998), “Innovation Development Technologies in Regions and Production Complexes” (Gutenberg, 2001),” Cost Cutting Innovative Technologies” (European Territorial Cooperation Programme, 2012). Paraskevi TARANI studied architecture at the School of Engineering in the Aristotle University of Thessaloniki. She is a PhD candidate at the Department of Urban and Regional Planning, on the topic “The European Cities in the New Economy of Knowledge”.Her research interests include the area of urban and regional innovation, urban theory and planning. As member of the URENIO research unit since 1994, she has been involved in several research projects dealing with city and regional development and innovation diffusion, such us: Regional Technological Project (RTP) of Central Macedonia, Regional Innovation Strategy (RIS+) Central Macedonia, Agropolis Technology Park of Thessaloniki, Innovation in Ionian Islands. Her experience in the field of urban planning includes several projects on urban renovation and planning, technology parks, and new areas development. A number of her projects and articles on the urban condition have been published in international magazines for architecture and urban planning (Techniques & Architecture, D” Architectures, Architecture in Greece, Threshold). Panagiotis C. TSARCHOPOULOS received the Diploma degree in Electrical Engineering and the Ph.D. degree in Urban and Spatial Planning from Aristotle University of Thessaloniki, Greece, in 1992 and 2013, respectively. He supports the URENIO Research Unit web presence. Since 1993, he has been working in R&D projects funded either by the E.C. or the Greek General Secretariat for Research and Technology dealing with digital innovation spaces. His current research emphasis is on smart/intelligent cities and regions, and especially on the digital space of intelligent cities. He also teaches, with Professor Komninos, the “Digital Cities” course at the Department of Urban and Regional Planning, Aristotle University of Thessaloniki.